Promotional product samples are a great way to try a product before buying it. Place an order for the promotional ProTowels Scrubber Golf Towel! Tri-folded with grommet and hook. Price Includes a 7,500 Stitch Embroidery. Be The First To Review our Promotional ProTowels Scrubber Golf Towel at The Executive Advertising! At The Executive Advertising we offer tons of great promotional products like our Promotional ProTowels Scrubber Golf Towel decorated with no setup fees! Promotional ProTowels Scrubber Golf Towel Item #2090-03 (Min Qty: 48). 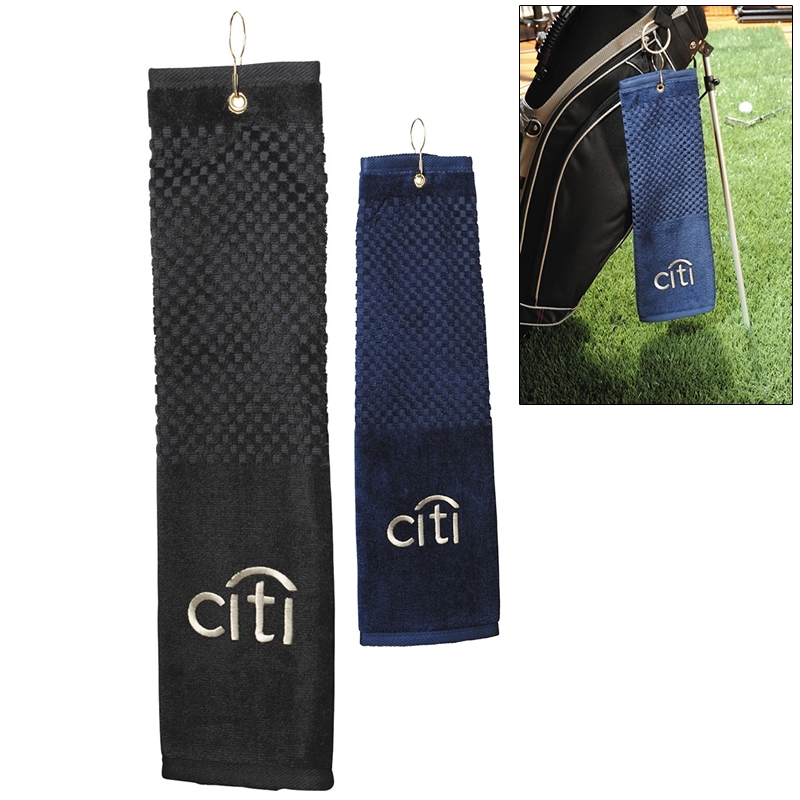 Customize your Promotional Towels with your company logo and with no setup fees. If you need any help just contact our customer service staff at 800-338-7996. Popular Searches: Search Terms that got you to this promotional product are Promotional ProTowels Scrubber Golf Towel, Customized ProTowels Scrubber Golf Towel, and ProTowels Scrubber Golf Towel Printed with Logo. You can also view our related products or categories to locate similar items to the ProTowels Scrubber Golf Towel.